Sales market has long gone online. And every year more and more people have a need to create website that can sell products online. So, if you have a need for eCommerce site – this guide is what you need. Step by step we will tell you about two the most effective ways of creating eCommerce website. Actually there are plenty methods of how to make eCommerce sites but we will stop on the following two ones since they’re the most effective by quality-price ratio. 1. Using of Online E-Commerce Website Builders. Over the past few years online web builders and in particular – eCommerce website builders – made a huge step forward in improving the technology of websites developing with the help of online drag and drop editors. We’ve been talking about it in our previous post about the best free web builders and in the newest one – Top 10 Best eCommerce Website Builders for Creating Online Stores. And at the moment the best E-Commerce Website Builders allow to customize website as maximum detailed as you want. You can add/delete products for sale, make discounts, upload photo galleries and video, change the colors scheme and even change the structure of website layout. The main advantage of this way is simplicity. It’s really very simple. So if you need to make an eCommerce website but you don’t have web design, HTML/CSS and programming skills – then this is the most suitable way for you. It’s the most popular and the most famous website builder. Alongside with opportunity to get free website Wix.com offers paid eCommerce package and there are lots of features they can offer for a very reasonable price. For example, over 100 creative ready-to-use mobile optimized website templates that are already divided to many business categories. So you won’t need to exert a lot of design efforts to get online store of proper topic. Another one pros is their price policy – comparing to other eCommerce website builder Wix.com offers very interesting eCommerce package with the best quality-price ratio. Shopify is a website builder that offer only ecommerce solutions for your business. Since they’re fully focused on creating online stores you can be sure that you will find everything you need to crate an online store. These are collection of proffesionally designed online store templates, opprotunity of complete control over your website’s design, multiple language, taxes and currencies, opportunity to create discount code for your products etc. And the most interesting is that you’ll have 14 days to try all these features – Shopify.com offers 14-days free trial to test their eCommerce website builder. In other words you put together your eCommerce site as a car in a auto salon, but order all the parts in different places. It would be ideally to buy everything at one company but the quality will be mediocre because one companies specialize in eCommerce website themes, other are leaders in domain name niche and the others sell quality hosting. Therefore, it is wise to choose these services in different companies. After spending such efforts you get maximum functional eCommerce website that depends only on you. You will still have to pay monthly fee for web hosting and annually fee for domain name, but these amounts are lower that subscriptions fees of eCommerce website builders. There are plenty different CMS with open code for eCommerce website that allow to get multifunctional online shops. The most popular eCommerce CMS are: WordPress, osCommerce, Joomla VirtueMart, PrestaShop, Magento, Zen Cart, OpenCart. WordPress eCommerce themes are indisputable leaders from all CMS themes because they’re easy to understand and easy to use. If it’s your first experience in creating a website then WP CMS would be more preferably for you – there are many freely available eCommerce plugins and guides for WordPress. There are many websites offering quality eCommrce website themes but we would like to feature only two of them that, by our opinion, stand out from the rest of competitors because of their obvious advantages. Website of Australian designer Nick Roach. All WordPress themes featured on this website were personally created by Nick and differ by elegant design and great quality. The most interesting feature of this website is its plans. For a basic $39 you will get access to all WordPress themes, as well as all new themes created while you are a member, and all their updates. So for $39 you will get access to 86 elegant WordPress theme, 5 of them are eCommerce WordsPress themes. It will allow you to make a redesign of your online store without spending extra cash. ThemeForest is the biggest marketplace for website templates, WordPress themes, Joomla and other themes and much more. Here world-class developers sell their eCommerce WordPress themes (and not only eCommerce, and not only WordPress). All themes available on ThemeForest undergo strict quality control before being publish on the site. So if you need excellent eCommerce WordPress theme with great functionality and quality support then this website is for you. There is no annual fees as ElegantThemes has and you pay once for one theme. So we chose and purchased a suitable eCommerce website theme. Next we need to determine a web hosting to install this theme. Usually for beginner online stores the sufficient solution will be Shared Hosting. Shared Hosting prices varies from $ 3 to 10 depending on hosting capabilities and reputation of hosting provider. Shared Hosting allows to withstand up to 1000 visitors a day for your eCommerce shop. With more visitors you should pay attention to the VPS hosting – it can withstand more traffic and has a powerful technical servers parameters: processing power, CPU, RAM, bandwidth, number of databases and the number of domains hosted. Among the variety of hosting providers we recommend a few one tested by us personally. FatCow.com offers a reliable hosting solutions for small to medium-sized business. It could be a great hosting for you online store because for reasonable price you will get lots of additional features. This hosting offers cheap prices and at the same time it’s very reliable and functional. Without a doubt HostGator.com is one of the most reliable shared hosting providers. It has the highest possible claimed uptime and it’s really so. But we can not say that their prices are low. HostGator has user-friendly interface, convenient control panel, excellent tech support and many other additional services you possible may need. MediaTemple made a name for itself by selling high quality VPS hosting. They also sell shared hosting but it’s famous for its VPS hosting. So if you expect a large number of visitors to your eCommerce website you may need VPS hosting. And MediaTemple is the company that can adequately cope with this task. Besides powerful servers one of their obvious advantages is Mobile and Desctop Control Panel. Thus you will be able to manage your hosting via a smart phone. The final step in the developing of eCommerce website is a choice of domain registrar. In our guide it’s the last step but by the importance it’s one of the first because it will be much harder to change domain name in future than change a theme or hosting. Therefore you should carefully select domain registrar, the same carefully as to select domain name itself. Domain name is a visiting card of your eCommerce website. In future many customers of your online store will find your website just for the domain name. Choose unique, sonorous and well-remember domain name. Ideally domain should be as short as possible and without hyphens. Short domains are easy to remember and they can be easily read on the products, transportations, t-shirts and wherever you want to advertise your online shop. Almost all hosting providers alongside with hosting sell domain names, but it’s a common thing that hosting is quality and conditions of domain names sale aren’t very attractive. We’ve selected three tested by us domain name registrars. The largest and the most popular domain name registrar in the world. GoDaddy.com is the registrar for more than 35 million domains. Among the advantages of this domain name registrar are: reliability, very rich functionality (privacy WHOIS, auto renew, premium registration, etc. ), discounts when buying multiple domains. This domain name registrar pleasantly differ from other registrars by cheap prices on domains and additional services. Besides Name.com has a very convenient and easy interface, it’s not so difficult to understand it, even for novice user. Additionally want to note responsive tech support. 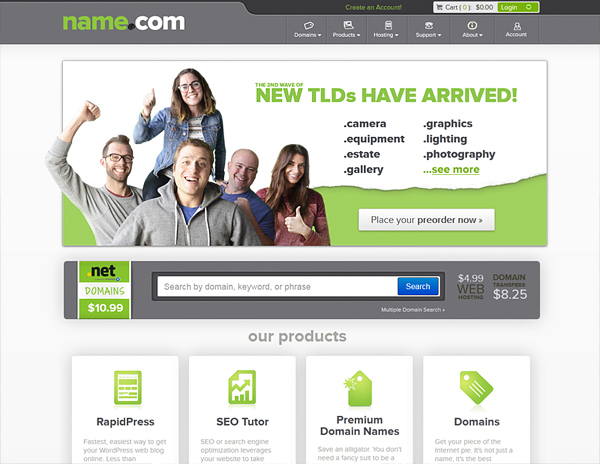 Another good domain name registrar is Namecheap.com. As it goes from its name they offer domain name by cheap prices. From their advantages we can note good suggestion engine, so you will easily find alternative domain name for your online store if desired one was taken, super-fasе chat support and very straightforward checkout process. WooCommerce is another great option for WordPress users. It’s one of the most popular and easiest to use plugins on the market today. This is exactly what my younger sister needed as part of her studies. Thanks! Just though you would probably like to know. Thanks for sharing your thoughts about Website Builders. bookmarked! !, I rewlly like your site! And what about freelancers? You can entrust the developing of ecommerce site to freelancers. I think that it’s more effective way than understanding how website builders work or trying to adjust ecommerce plugin by yourself. Of course it will be more expensive – but you’ll get ready online shop without any hassle. Good review. Want to add that a great ecommerce platforms are BigCommerce and Americommerce. They are similar to Shopify but in my opinion simpler.